I was thinking about refraction while watering the garden, and there was a rainbow in the water. 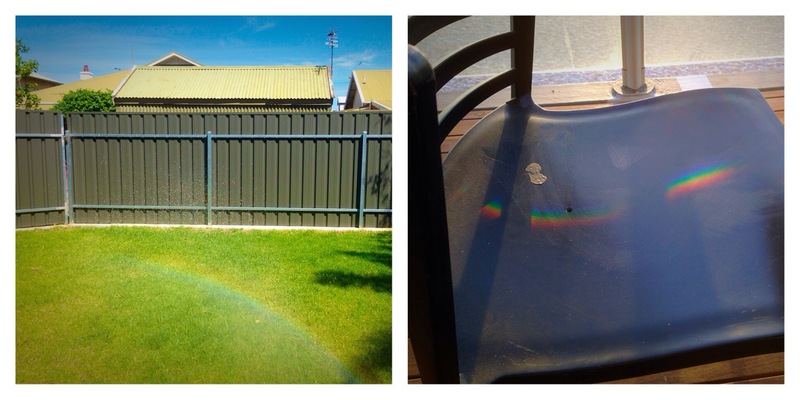 Later, having a beer at the surf lifesaving club, there was a rainbow on my chair. 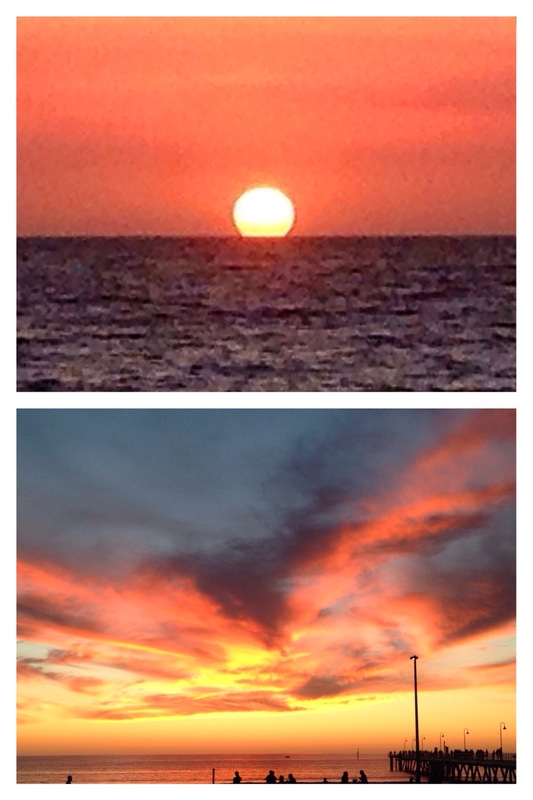 But the biggest influence of refraction in Adelaide is the sunset- the oversized sun as it sinks below the ocean, the drama of the red and gold finale, the clouds a celestial cinema screen, until the slow fade into night, to the ocean’s phosphorescent aftershow. For the Daily Post photo challenge Refraction.